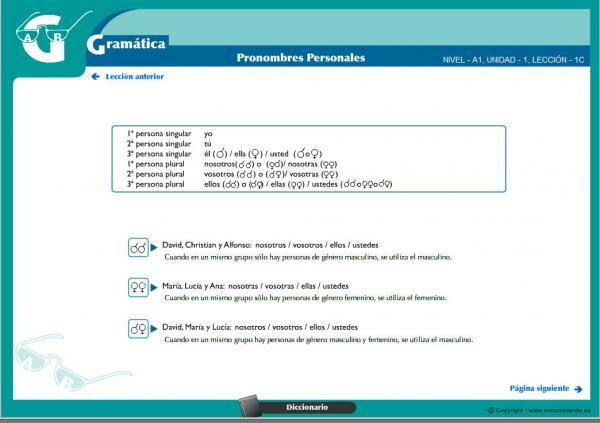 In this course you learn Spanish online from those semantic fields you interested in. In this Spanish course you can learn Spanish online in two ways. You can take the course following the logical sequence of lessons or choosing the lesson of your interest. 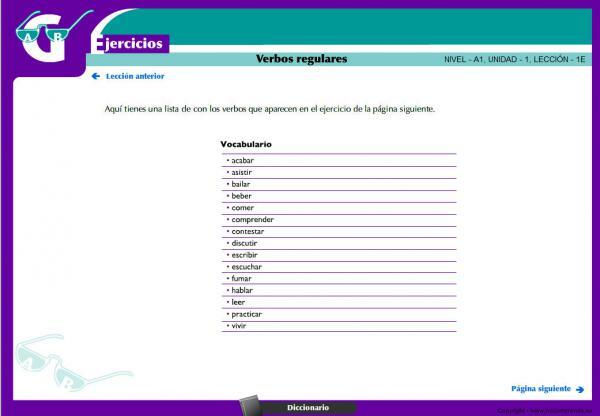 We suggest taking this course lesson by lesson if you learn Spanish for the first time. You can read texts and do exercises on those topics you are interested in. Choose the semantic field that you like by following the color codes you will find above. The grammar is explained mostly in the language you have chosen. We suggest taking this course lesson by lesson if you learn Spanish for the first time. You can read texts and do exercises on those topics you are interested in. Choose the semantic field that you like by following the color codes you will find above. The grammar is explained mostly in the language you have chosen. This course is made so that you can learn independently. In the first lessons grammar is explained in the language you have chosen. In most of the occasions you will also have the Spanish translation of the words in one lesson. If you do not understand a word, you only need to write it in the dictionary and click on search. The ranslation will appear immediately. The course is very visual and includes many interactive exercises. In addition to this course we will reinforce your Spanish, as all other languages, if you are in a Spanish course with a teacher and talk to other people. 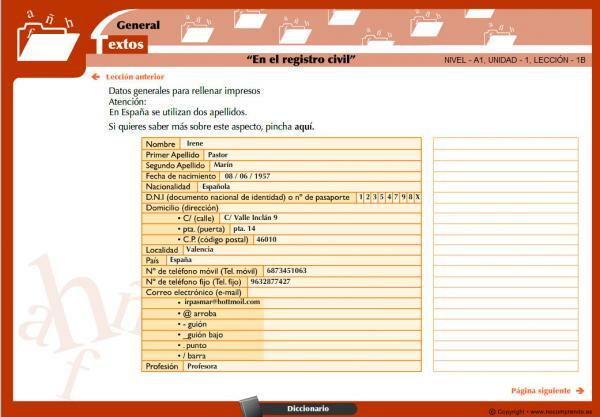 Our course also includes tests to help you visualize how you progress in learning of Spanish. This Spanish course is a work in progress. We will periodically add more lessons and more teaching and learning material. If you do not find what you want, please try again later. You can also fill in our suggestion box which in turn will help us to know how we can improve our course.